Abstract:From my made-up ��famous�� equation , where stands for our electronic and digital infrastructure and equals to Computing and Communication, I'll start a light-hearted history of how AI is saved at least partly by `Intelligent Computing' - the theme of this conference and of course my talk. More specifically, my talk is about how to adaptively construct online selective ensemble regression model for fast-arriving highly nonlinear and nonstationary data streams. Any ensemble learner faces a so-called stability-plasticity dilemma. Stability implies that a learner retains acquired knowledge for maintaining diverse pool of past knowledge, but plasticity requires a learner to forget part or all previous knowledge so that it can quickly capture new knowledge from newly upcoming data. We propose a growing and pruning selective ensemble regression for adaptive modeling of nonlinear and nonstationary systems. Central to this effective and accurate selective ensemble learner is its growing strategy and pruning strategy. During online operation, the proposed growing strategy automatically identifies newly emerging process state and fits a local linear model to capture this newly occurring knowledge. Therefore, our learning strategy is capable of maintaining the maximum diversity of the base model set. Furthermore, our proposed pruning strategy is capable of reliably removing ��unwanted�� local models online and, therefore, significantly reduces computational complexity of constructing online selective ensemble regression model, without sacrificing the diversity and accuracy of selective ensemble regression. Bio-Sketch:Sheng Chen received the BEng degree from East China Petroleum Institute (now China University of Petroleum), China, in January 1982, and the PhD degree from City University, London, in September 1986, both in control engineering. In 2005, he was awarded the higher doctoral degree, Doctor of Science (DSC), by the University of Southampton. From October 1986 to August 1999, he held various research and academic posts with University of Sheffield, University of Edinburgh and University of Portsmouth, all in UK. 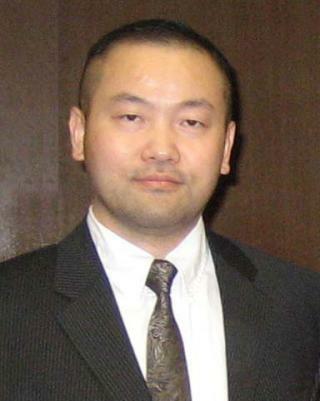 Since September, 1999, he has been with School of Electronics and Computer Science, University of Southampton, where he holds the post of Professor in Intelligent Systems and Signal Processing. 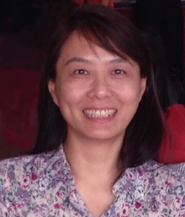 Professor Chen's research interests are in computation intelligence, wireless communications and signal processing. He has 12,800 plus Web of Science citations with h-index 50, and 27,000 plus Google Scholar citations with h-index 71. 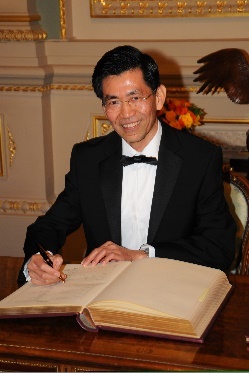 Dr Chen is a Fellow of the United Kingdom Royal Academy of Engineering, a Fellow of IEEE and a Fellow of IET. He is one of the original ISI most highly cited researchers in engineering (March 2004). Abstract:I will motivate this talk by first introducing a new challenge to reinforcement learning (RL) based control design. The problem focuses on learning control of powered lower limb prosthesis in order for the human-machine system (HMS) to help an amputee regain the lost limb function. The nature of the problem calls for a RL controller not only to address the differences in human physiology, but also the differences in ways that individuals walk in a foreign object such as a computer controlled prosthesis. As such, the HMS control problem poses great opportunities for the field of reinforcement learning or even broader engineering disciplines. In this talk, I will speak about our exciting new results on several RL designs that have been tested on human subjects for level ground walking. With our initial feasibility studies to demonstrate our RL controls can be data and time efficient during learning, I will also discuss directions we will take for RL controller to help achieve the ultimate goal of human-machine symbiosis. Abstract:Protein structure prediction aims to determine the spatial location of every atom in protein molecules from the amino acid sequence by computational simulations. In this talk, we first review recent progress in computer-based protein structure prediction and show that the problem can be solved in principle by template-based modeling in case that threading could recognize the best structural templates from the Protein Data Bank. Next, we discuss the results of protein structure prediction in the most recent community-wide blind CASP experiments, and show that new approaches combining ab initio folding and deep neural-network contact prediction can break through the barrier of physics-based protein folding, which resulted in successful folding of proteins with sequence longer than 300 amino acids. Finally, we summarize the major challenges of the field in ab initio folding, structure refinement, and the modeling of membrane proteins. Bio-Sketch:Dr. Yang Zhang is a professor in Department of Computational Medicine and Bioinformatics and Department of Biological Chemistry at the University of Michigan. The research of the Zhang Lab focuses on protein folding and protein structure prediction, and protein design and engineering. The I-TASSER developed in his lab was ranked as the No 1 most accurate method for automated protein structure prediction in the last seven worldwide CASP competitions (2006-2018). He is the recipient of the Alexander von Humboldt Fellow, the US National Science Foundation Career Award, the Alfred P Sloan Award, and the Dean��s Basic Science Research Award, and has been selected as the Thomson Reuters Highly Cited Researcher in Biology and Biochemistry in 2015-2018.